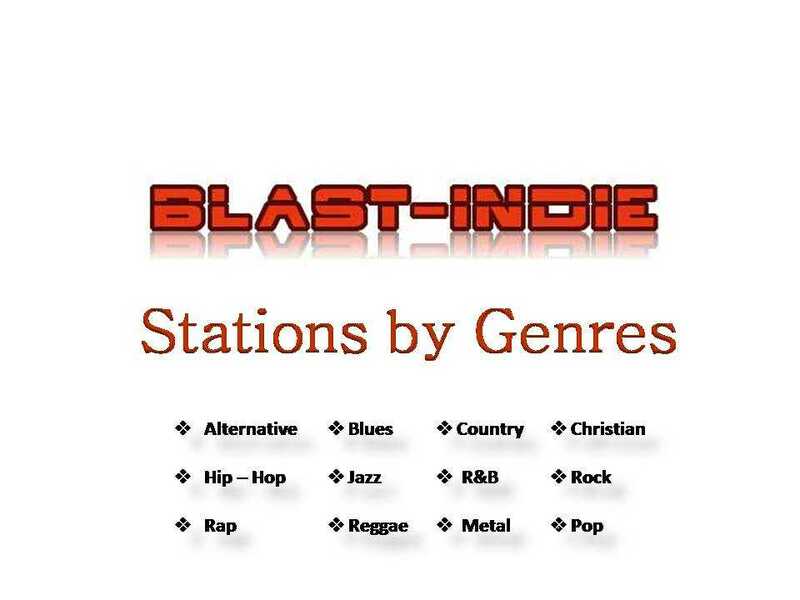 #BlastIndie ~ MixedGenres Station 1, Note: (11) Mo..
#BlastIndie ~ MixedGenres Station 1, Note: (11) More station that are #Genre specific will follow. Each catering to the music format of just one type. #AdultContemporary, #AlternativeRock, #Christian, #Country, #Hop, #Jazz, #Metal, #Rock, #RnB, #Reggae, and #Pop genres. We are pleased to announce the official launching of the #BlastIndie Radio Station 1. This will be a mixed genres format, until all 12 stations are launched.